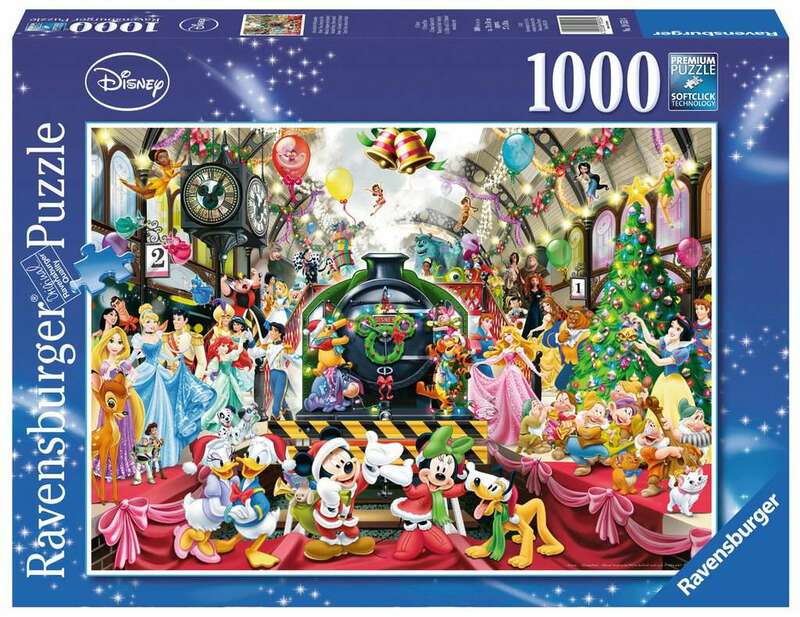 Get into the Christmas mood with this jigsaw showing over 60 characters from the wonderful world of Disney. Spot lots of your favourite Disney and Disney Pixar characters as they gather at the railway station, ready to board the train and travel to a magical Christmas destination. Winnie, Piglet, Eeyore and Tigger ensure the steam locomotive is decorated with lights, bows and a "Mickey" shaped garland, whilst Mickey himself takes on the role of Santa, with a large sack of presents. 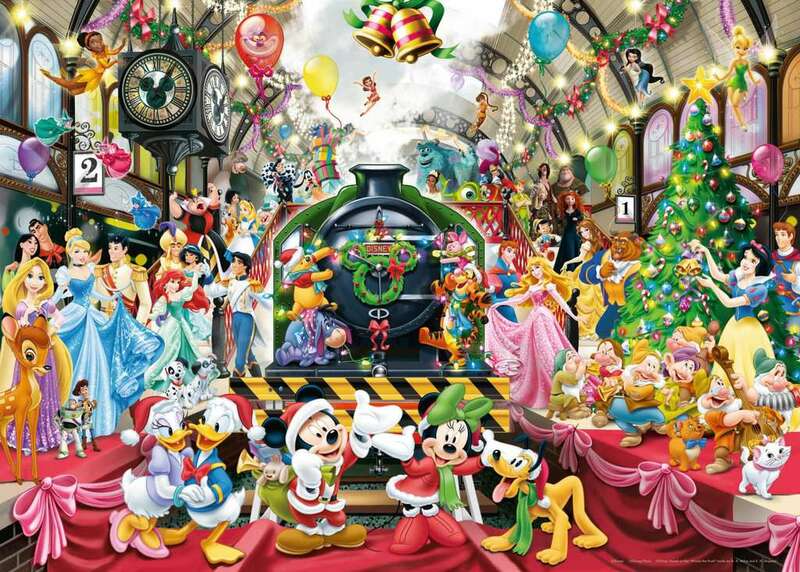 Other characters included in this fabulously festive scene include Cinderella, Aurora, Belle, Rapunzel, Ariel, Merida, Tiana, Minnie Mouse, Donald and Daisy Duck, Tinker Bell, Bambi, Buzz Lightyear, Woody, Mike, Sulley, Pinocchio, Peter Pan and Captain Hook. This puzzle is ideal to enjoy with friends, family, or just on your own as you sort through the high quality pieces and assemble the fabulously detailed and colourful scene.